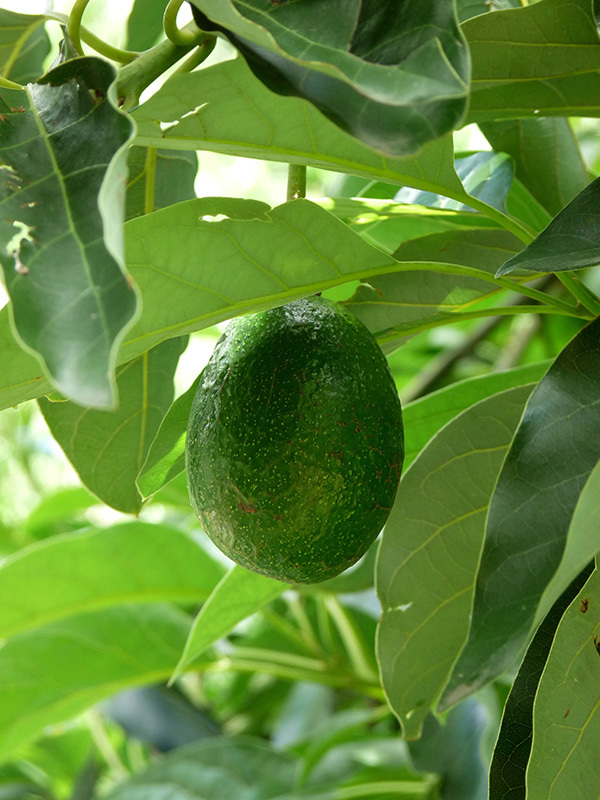 Reed is another summer time variety; it is a large round fruit with a medium size seed, it is easy to peel and is undoubtedly one of if not the best tasting avocado around. Developed from a chance seedling found in 1948 by James S. Reed in California, the tree grows tall to about 15 feet but does not sread out to wide it gets 8 to 12 feet wide. It has thick green skin with slight pebbling. The fruit turns a dull dull green and yeilds to gentle pressure when ripe.